Limbaugh Toyota has a wide inventory of new Toyota models including top favorites like the Camry, Corolla, Tundra, and RAV4. Browse our new Toyota inventory online to gain access to vehicle data such as pricing, mileage, features, and photos. 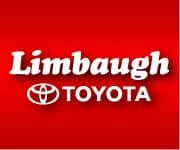 Limbaugh Toyota offers new Toyota specials and incentives to ensure total customer satisfaction. Customers in Birmingham and all Central Alabama areas can drive in today and find the new Toyota of their dreams.